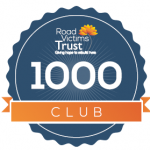 Thank you for agreeing to support RVT as a valued Club 1000 member! Simply complete the form below and press send. Jenny will get back to you as soon as possible.